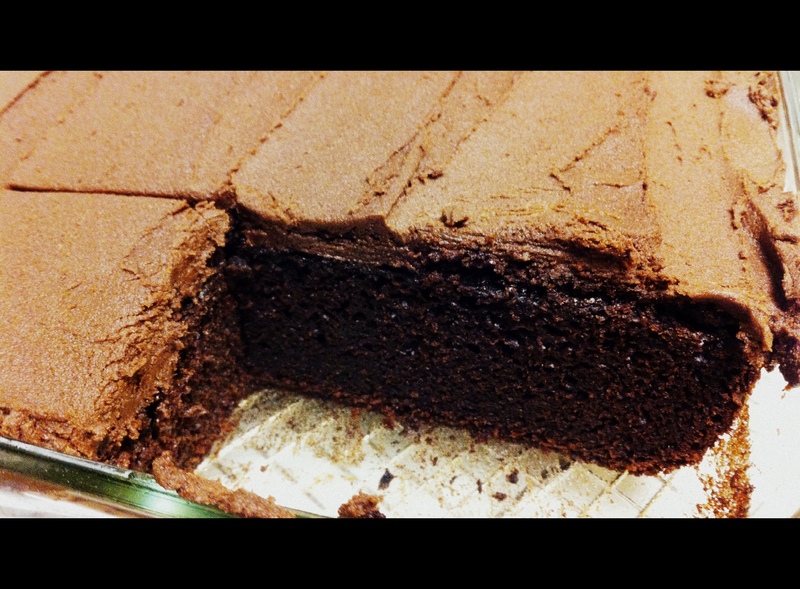 Pictured here on a moist delicious chocolate cake made with applesauce and buttermilk, it is a perfect (not too sweet) topping. Go ahead and mix it up though – instead of chocolate use raspberry jam for flavoring! Now, add in enough icing sugar, 1 cup at a time until you have reached the consistency you are looking for – fabulous! This entry was posted in Baking, Dessert, Recipes and tagged butter cream icing, chocolate, chocolate cake, dessert by Chatty Kathy. Bookmark the permalink.